I live and breathe the importance of price action through my podcast and books--a one of a kind compilation only found here. Not CNBC, not Bloomberg, not IBD, but found here alone. Both have produced multiple millionaires and launched hedge fund careers. However, some want more. They need more. 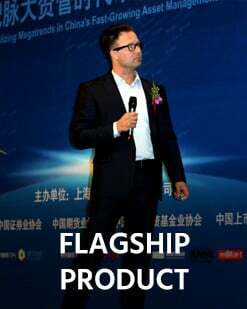 And the way I give my personal support—the core trend following principles and how to compound those principles for a lifetime—is through my Flagship product. 1. Add to winners only. 2. Never add to a loser. 5. Don’t try to pick tops. 6. Don’t try to pick bottoms. 7. Market prices make decisions, not ego. 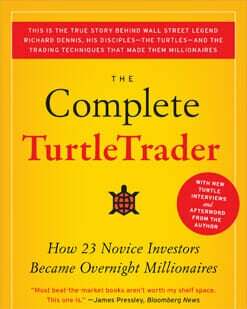 "Trend following is the purest, simplest, and easiest way to make the big money. It uses only what the markets are telling us about themselves--the current price trend." 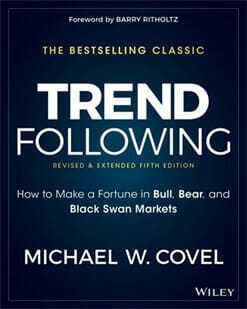 The bestselling classic TREND FOLLOWING rebooted. This new 600+ page edition is massive. The unvarnished truth across some of Wall Street's biggest names including Warren Buffett, David Harding, Ed Seykota, Daniel Kahneman and many more. There is a reason 100,000+ readers start here. 6 million+ listens across 600+ episodes: investments, economics, decision-making, behavior & entrepreneurship. Guests: Nobel Prize winners Robert Aumann, Angus Deaton, Daniel Kahneman, Harry Markowitz & Vernon Smith. And: Jean-Philippe Bouchaud, Marc Faber, Tim Ferriss, Jason Fried, Gerd Gigerenzer, Larry Hite, Sally Hogshead, Ryan Holiday, Jack Horner, Ewan Kirk, Steven Kotler, Michael Mauboussin, Barry Ritholtz, Jim Rogers, Jack Schwager, Ed Seykota, Philip Tetlock & Walter Williams. The bestselling Trend Following classic with 125,000+ readers and 10+ translations. "You'll Only Buy Markets Moving Higher. And You'll Only Sell Short Markets Moving Lower." The most famous Wall Street teaching experiment ever. Learn what they learned. 75,000+ sold.